He is the eighth person who Bruce McArthur is charged with murdering. Kirushna Kumar Kanagaratnam fled war-torn Sri Lanka for a new life in Canada. Police say he was murdered by alleged serial killer Bruce McArthur. The latest alleged victim of accused serial killer Bruce McArthur was a Sri Lankan asylum seeker who fled his war-ravaged country in hopes of building a better life for himself in Canada, those who knew him said Tuesday. Friends and lawyers confirmed that Kirushna Kumar Kanagaratnam was one of 492 Sri Lankan Tamils aboard the MV Sun Sea, a dilapidated cargo vessel that reached the coast of British Columbia in 2010 after a harrowing six-week voyage. Friends suggested Kanagaratnam led a lonely life after his arrival in Canada, travelling to Toronto to connect with some distant relatives and ultimately having his claim for refugee status denied. Dinsan Vanniyasingam, a fellow MV Sun Sea passenger, said news of his friend's death felt particularly cruel when contrasted with the optimism that marked the start of their sojourn in Canada. "I am so shocked," Vanniyasingam said in a telephone interview. "We came to Canada, we were so happy because we were in a safe place ... Why this have to happen again and again?" Vanniyasingam knew little about Kanagaratnam's background before he boarded the Sun Sea, but said he emerged as a well-liked and welcome presence on the crowded boat. The MV Sun Sea is escorted past Fisgard Lighthouse and into CFB Esquimalt in Colwood, B.C., on Aug. 13, 2010. The latest alleged victim of accused serial killer Bruce McArthur was a Sri Lankan asylum seeker who fled his war-ravaged country in hopes of building a better life for himself in Canada, those who knew him said Tuesday. Describing his friend as innocent, trusting and helpful, he said Kanagaratnam could often be found singing songs and playing cards with his fellow passengers. That more outgoing streak, however, may have been more evident to his fellow migrants. Gabriel Chand, a Vancouver-based lawyer who helped many of the Sun Sea passengers with their refugee claims, got to know Kanagaratnam somewhat before his departure for Toronto but did not shepherd his application through the system. "I just remember him being a quiet, to-himself guy," Chand said. "He wasn't one of the loud ones, he wasn't one of the boisterous ones." Details are murky about the five years Kanagaratnam spent in Canada. Vanniyasingam did not know what drew Kanagaratnam east to Toronto, but said he had some distant relatives in the area. While many of the Sun Sea travellers kept in touch, he said Kanagaratnam did not appear to be in regular contact after moving to the city. Vanniyasingam said his own last interaction with his friend took place in 2014 when the men ran into each other at an east Toronto shopping mall. The brief exchange yielded a piece of information that, for Vanniyasingam, shed some light on why his later disappearance may have gone unnoticed. "He said he was struggling with his immigration status," Vanniyasingam said of his friend, adding that he was planning to reapply. Vanniyasingam said it's not unusual for people to lie low while their status is under review, so he was not surprised not to see him around the community in the following years. Over the past eight months, however, Vanniyasingam said he heard rumours that Kanagaratnam's family had begun actively searching for him via Facebook posts and other online outreach efforts. By then, however, Toronto police have confirmed it was too late. Det. Sgt. Hank Idsinga announced on Monday that Kanagaratnam was slain some time between early September and mid December 2015, alleging that McArthur, a 66-year-old self-employed landscaper, was responsible for his death. Det.-Sgt. Hank Idsinga speaks at a press conference about alleged serial killer Bruce McArthur in Toronto. 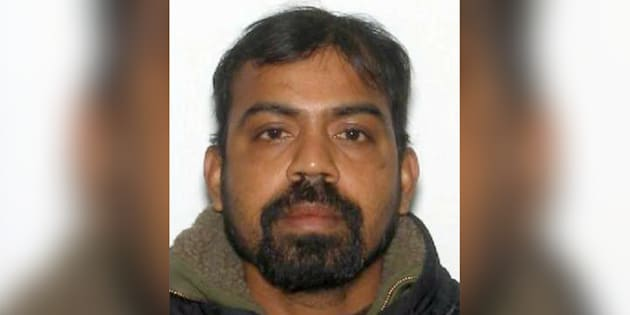 Kanagaratnam's remains were among seven recovered from planters at a central Toronto property where McArthur, who is facing eight counts of first-degree murder, once worked. Police struggled to identify him, taking the unusual step of releasing a heavily edited image taken when he was dead in hopes the public could put a name to the face. Idsinga said police had been whittling down a list of 22 potential identities, but said Kanagaratnam's name was not among them. He said he was ultimately identified with help from an undisclosed international agency. Vanniyasingam, for his part, said he did not recognize his friend from the police photo. Kanagaratnam was 37 at the time of his death, making him the youngest of McArthur's alleged victims. Police allege McArthur primarily preyed upon men with ties to Toronto's LGBTQ community and a downtown neighbourhood known as the gay village, but said Kanagaratnam's death appears to deviate from that pattern. Idsinga said investigators have not uncovered any ties to the city's LGBTQ scene, adding that he was never formally reported missing in Canada. For Chand, that disclosure was particularly poignant. Numbers from the Immigration and Refugee Board indicate that 64 per cent of Sun Sea passengers with finalized refugee claims have been accepted into Canada. Chand can't help but wonder if a more favourable immigration outcome for Kanagaratnam would have granted him a different fate. "Had he won, he probably would have been around friends," he said. "No one reported him missing. What a lonely way to go."